I’ve been feeling a bit lazy the last few mornings, getting my blog posted later than usual. So this chair and pose seemed the perfect illustration of how I’ve felt. This chair is now available at Atelier Kreslo, a collaboration between Breno and Kuro in Motion. It is aptly called “Monday Haters” and the poses are original and just so much fun! This one is called “Noooooooooo!” and I am sure you can relate. There are four colours of the chair, each with texture change cushions with three choices, so there should be something for everyone. 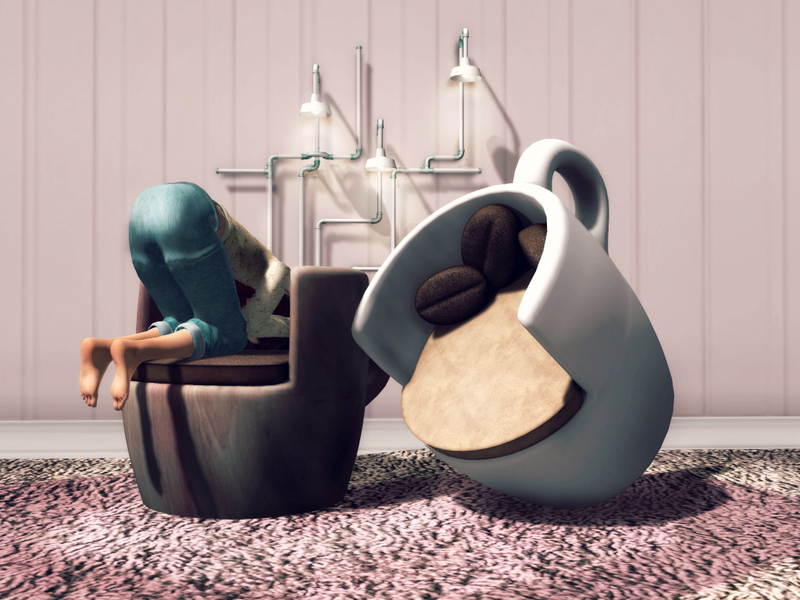 Now if I could just manage to drink my coffee while in this position I might be ready to get on with my day. No decaf allowed! You had me at “decaf should be made illegal” 😉 I love these, so cute!